The finish stone wash new canvas of the Maison stars models Speedy and Neverfull the 2013 cruise collection. My favorite color is pink, Brown candy is the second option available for both models. You would expect a blue Monogram Stone to wear with jeans or white fish, are too obvious? As in winter not seen too much with jeans, thinking about pleasant temperatures returning the Cowboys to my wardrobe. 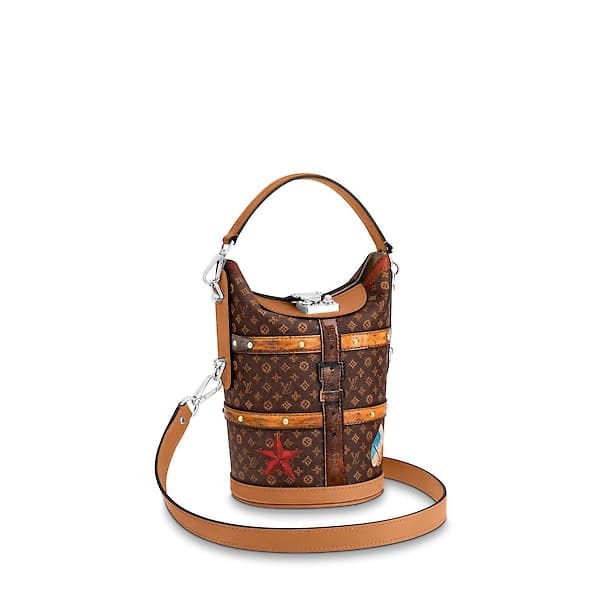 It is fascinating to see how to change the style of a same model of bag, as these two classics of LV, depending on the fabric, canvas or leather: elegant, sophisticated, sport, beach. I liked the last year Rayures. The detail of the ASA bicolor of the Neverfull Monogram Stone (photo above) is a success. Although the Speedy is still my first choice. And now, tell me, where you will spend Christmas break?